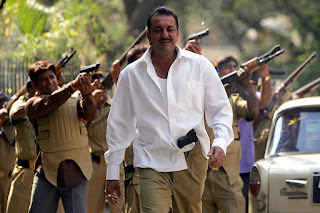 Hello Guys, We sharing hits and famous dialogues of Shootout at Lokhandwala movie which was released in 2007 and it is based on real incident, 1991 Lokhandwala Complex shootout, a real-life gun battle between gangsters and Mumbai Police. It is crime film directed by Apoorva Lakhia and Balaji Telefilms. Vivek Oberoi, Sanjay Dutt, Sunil Shetty, Amitabh Bachchan & Arbaaz Khan had played main lead role. The movie is remembered by his dialogues and performance of all actors. Specially Vivek Oberoi and Sanjay Dutt gave his best performance. 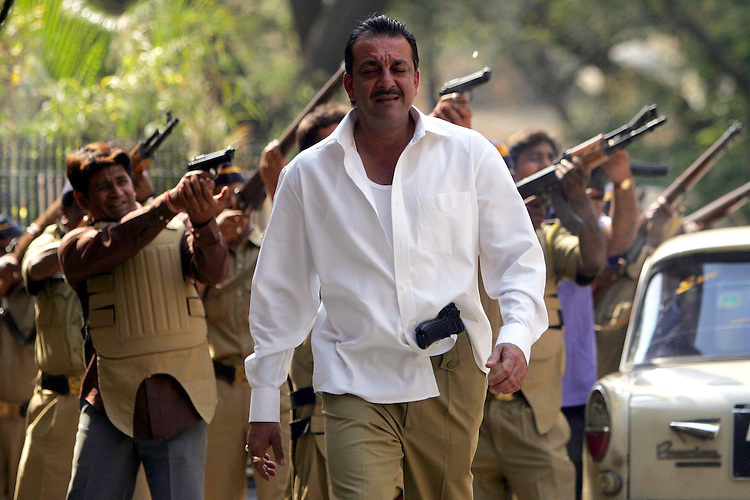 The movie is full of hard hitting dialogues which are mainly delivered by Vivek and Sanjay Dutt. So I have collected best punches and lines of this film Shootout at Lokhandwala. "Tumhare aur mere beech sirf ek hi cheez ho sakti hai ... maaro ya marro"
"Apni line mein sab log gutter se nikalkar aate hai ... kuch log upar nikal jaate hai ... aur kuch log goli khakar vapas gattar mein gir jaate hai"